This assignment is due before 11:59PM on Tuesday, March 19, 2019. This assignment is a continuation of last week’s assignment. We’ll turn from traditional n-gram based language models to a more advanced form of language modeling using a Recurrent Neural Network. Specifically, we’ll be setting up a character-level recurrent neural network (char-rnn) for short. Andrej Karpathy, a researcher at OpenAI, has written an excellent blog post about using RNNs for language models, which you should read before beginning this assignment. The title of his blog post is The Unreasonable Effectiveness of Recurrent Neural Networks. In this assignment you will follow a Pytorch tutorial code to implement your own char-rnn, and then test it on a dataset of your choice. You will also train on our provided training set, and submit to the leaderboard. training data for text classification task. dev data for text classification task. Pytorch is one of the most popular deep learning frameworks in both industry and academia, and learning its use will be invaluable should you choose a career in deep learning. You will be using Pytorch for this assignment, we ask you to build off a couple Pytorch tutorials. Upload the notebook on Colab. Set hardware accelerator to GPU under notebook settings in the Edit menu. Run the first cell to set up the environment. Please look at the FAQ section before you start working. Read through the tutorial here that builds a char-rnn that is used to classify baby names by their country of origin. You can also build off the released code here. It is recommended that you can reproduce the tutorial’s results on the provided baby-name dataset before moving on. Download the city names dataset. Modify the tutorial code to instead read from the city names dataset that we used in the previous assignment. The tutorial code problematically used the same text file for both training and evaluation. We learned in class about how this is not a great idea. For the city names dataset we provide you separate train and validation sets, as well as a test file for the leaderboard. All training should be done on the train set and all evaluation (including confusion matrices and accuracy reports) on the validation set. You will need to change the data processing code to get this working. In addition, to handle unicode, you might need to replace calls to open with calls to codecs.open(filename, "r",encoding='utf-8', errors='ignore'). Warning: you’ll want to lower the learning rating to 0.002 or less or you might get NaNs when training. Attribution: the city names dataset is derived from Maxmind’s dataset. Complete the following analysis on the city names dataset, and include your finding in the report. Write code to output accuracy on the validation set. Include your best accuracy in the report. (For a benchmark, the TAs were able to get accuracy above 50% without any hyperparameter optimization) Discuss where your model is making mistakes. Use a confusion matrix plot to support your answer. Periodically compute the loss on the validation set, and create a plot with the training and validation loss as training progresses. 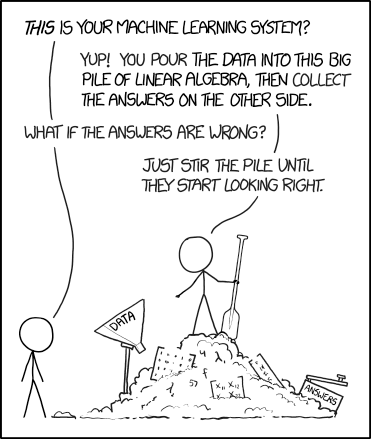 Is your model overfitting? Include the plot in your report. Experiment with the learning rate. You can try a few different learning rates and observe how this affects the loss. Another common practice is to drop the learning rate when the loss has plateaued. Use plots to explain your experiments and their effects on the loss. Experiment with the size of the hidden layer or the model architecture How does this affect validation accuracy? Compare the different types of RNNs - RNN, LSTM, GRU units. In your report, describe your final model and training parameters. In this section, you will be following more Pytorch tutorial code in order to reproduce Karpathy’s text generation results. Read through the tutorial here, and then download this ipython notebook to base your own code on. You will notice that the code is quite similar to that of the classification problem. The biggest difference is in the loss function. For classification, we run the entire sequence through the RNN and then impose a loss only on the final class prediction. For the text generation task, we impose a loss at each step of the RNN on the predicted character. The classes in this second task are the possible characters to predict. Include a sample of the text generated by your model, and give a qualitative discussion of the results. Where does it do well? Where does it seem to fail? Report perplexity on a couple validation texts that are similar and different to the training data. Compare your model’s results to that of an n-gram language model. Saved models[model_classify, model_generate] - Your trained PyTorch models. Please put it in the same path as your code. code[main_classify.py, main_generate.py, models.py, README.txt] - It should be written in Python 3. README should include instructions to generate sentences. How do I save a PyTorch model? Use the command below. Please ensure that your model can be used for inference. How do I load a PyTorch model? I’m unfamiliar with PyTorch. How do I get started? If you are new to the paradigm of computational graphs and functional programming, please have a look at this tutorial before getting started. How do I convert a Jupyter notebook to a python script? How do I beat the threshold for the test cases? How do I speed up training? Send the model and the input, output tensors to the GPU using .to(device). Refer the PyTorch docs for further information. Why are some of the cities mislabeled in the training and development datasets? Noisy data is common when data is harvested automatically like the cities dataset. The onus is on the data scientist to ensure that their data is clean. However, for this assignment, you are not required to clean the dataset. Neural Nets and Neural Language Models. Dan Jurafsky and James H. Martin. Speech and Language Processing (3rd edition draft) . The Unreasonable Effectiveness of Recurrent Neural Networks. Andrej Karpathy. Blog post. 2015. A Neural Probabilistic Language Model (longer JMLR version). Yoshua Bengio, Réjean Ducharme, Pascal Vincent and Christian Jauvin. Journal of Machine Learning Research 2003. This assignment is based on The Unreasonable Effectiveness of Recurrent Neural Networks by Andrej Karpathy. Daphne Ippolito, John Hewitt, and Chris Callison-Burch adapted their work into a homework assignment for UPenn’s CIS 530 class in Spring 2018.